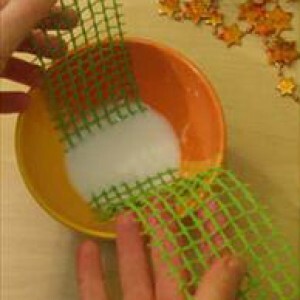 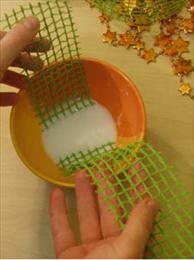 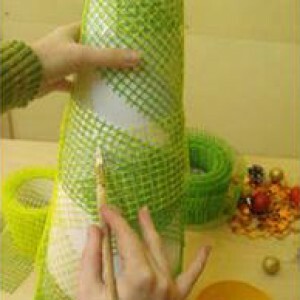 Take some plastic mesh and make a cone with paper or plastic sheet. 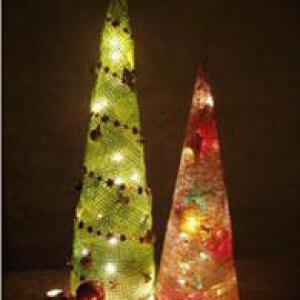 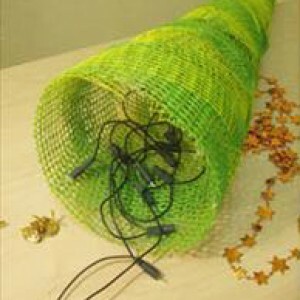 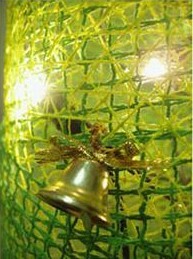 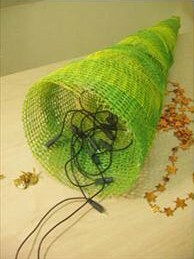 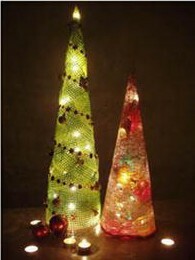 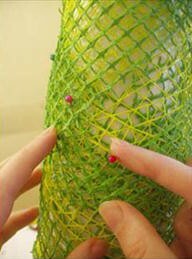 Make a tree by wrapping the wire mesh around the plastic cone. 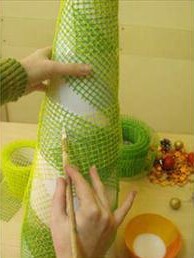 Adjust the small light bulbs in the mesh tree. 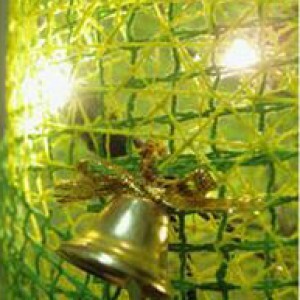 Add some extra decor items as your wish.